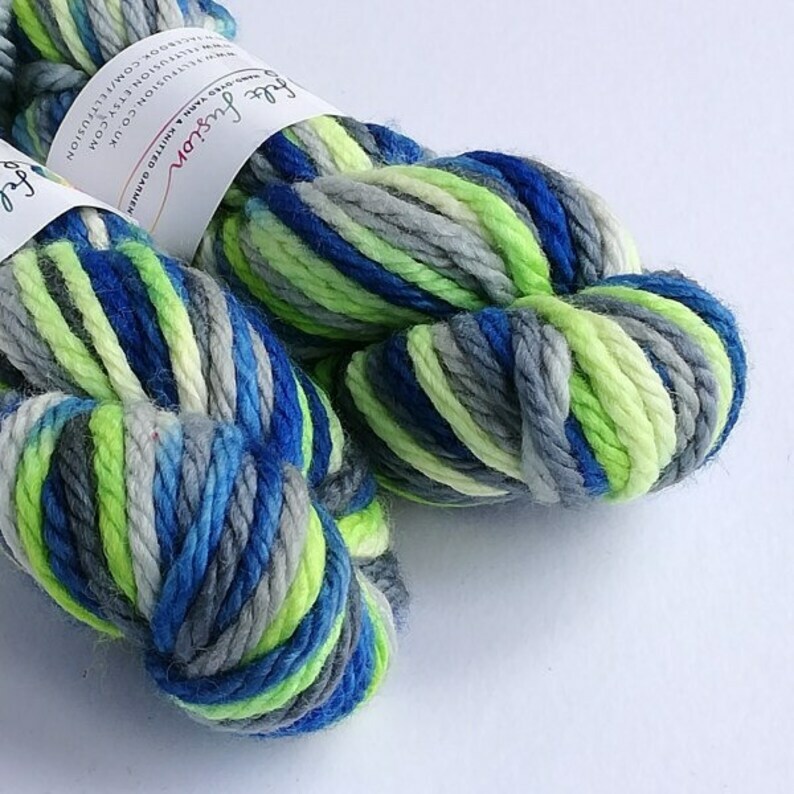 This super chunky/bulky BFL (Blue Faced Leicester) has been hand dyed in blue, lime green, greys and white (undyed) - my Purrr-fectly Happy variegated colourway. 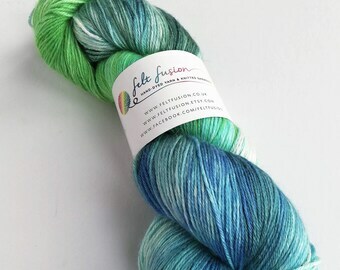 This listing is for 100g of super chunky BFL yarn. 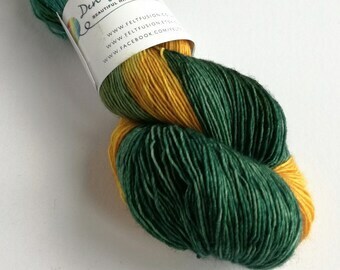 There are two skeins available at the time of listing. 100g = approx 50m/54 yards. 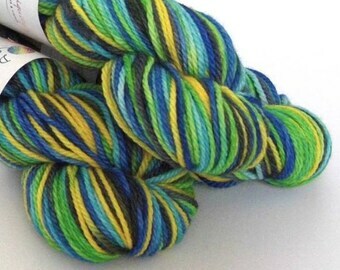 All yarns are dyed using acid dyes and are thoroughly rinsed and washed with wool wash (usually unscented).